This property has the unique ability of being able to utilize a second property that sleeps 6-8 people, that is joined by a large undercover area. This means that over the two properties (houses) Piccadilly Place could accommodate up to 20 people. If you have a large group and are interested in ALL being together feel free to email. Piccadilly Place is powered 24/7 by solar / battery power and as such there is NO power points available for plugging in electrical appliances brought from home. Piccadilly Place was perfect for our Fraser Island getaway. This is a really well maintained property with everything you need, comfy beds, great kitchen, plenty of fridge and freezer space, large dining and lounge area, an outside area with pool table and fire ring perfect for the kids to hang out in and easy to access. Lorrelle was fantastic with plenty of local knowledge and advice. Thanks for a great week, we will be back! I am glad you found Piccadilly Place a great place for your holiday. It was a pleasure to have you stay and look forward to seeing you again in the future. Had a great stay. The owner was lovely and very informative about places to visit on the Island. Beautiful location, hope to be back next year. Owner refuses to give deposit back. Our deposit was not given back because we apparently left sand all over the floor, even though the group I stayed with cleaned it extensively for an hour. We also had our power removed due to us "using too much power" even though the owner stated that they have very large capacity. The owner clearly was never going to return the bond. I would advise against staying here. There are plenty of other places to stay around the area. SHOOLIES, Never again, NO WAY! It was against my better judgement, the floor was left filthy dirty. An extension lead was disconnected because electrical appliances that should not have been used (a slurpee machine amongst others) were being used and the lead provided was to be used ONLY for sleep apnea such devices. At NO time was the power to the house other than the extension lead turned off or it would have cut power the other residence. Furthermore, the boys were ill because of what they drank and destroyed linen that was never recovered or salvageable and the floor was stained, which required considerable cost to clean/repair. Not to mention the items missing from the house after they left. SCHOOLIES NEVER AGAIN. My girls and I had an excellent holiday. House was great with lots of room and a great landlord! Piccadilly Place was the perfect accommodation for our family holiday on Fraser Island, with beautiful surroundings and a very easy going atmosphere you have nothing to do but relax and enjoy all the Fraser has to offer you. Lorelle the owner was so lovely and went out of her for us and for others on several occations. 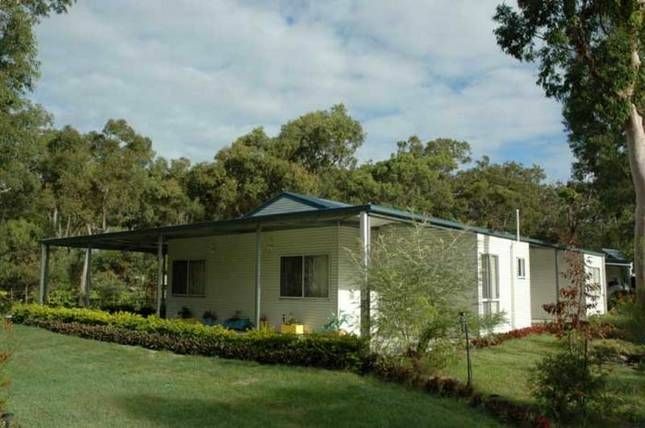 I reccomend this accommodation to anyone wanting a great house to stay in at Orchid Beach, Fraser Island.